The EOTech EXPS2 Holographic Weapon Sight is renowned for its ability to function in extreme conditions. The holographic image sighting technology also gives you true "2 eyes open" heads-up display and wide, unlimited field of view. 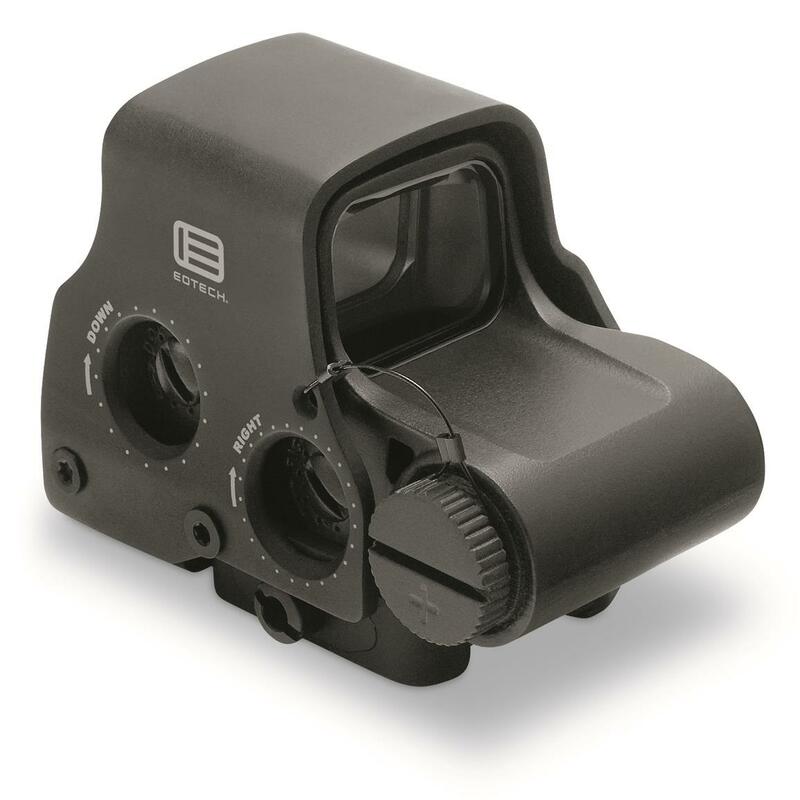 These EOTech® Sights are small, fast and lightweight... without sacrificing an ounce of functionality. Improved battery life over previous models means they won't power down before you do, either. Don't go with anything less on your next mission! The best in lightning sighting! Order now! 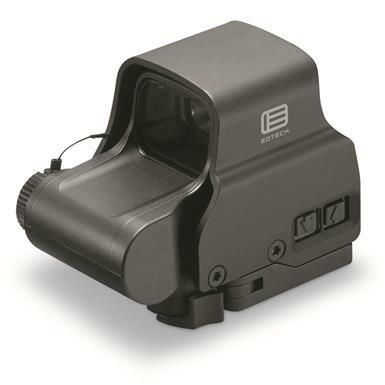 EOTech EXPS2-0 Holographic Weapon Sight is rated 5.0 out of 5 by 13. Rated 5 out of 5 by idahonative39 from Best red dot on the market! I have a few of these along with the G33's. Proven in combat, reliable and great battery life! Rated 5 out of 5 by Weekend Shooter from unsurpassed quality with great product backing This was purchased as a replacement for the Eotech 511 I purchased more than 11 years ago, accepted for factory return on account of the Eotech recall program (failure of these older sights to retain zero under certain circumstances). Because they didn't hesitate to refund the full cost, I did not hesitate to buy my second Eotech. The EXPS2 is more compact on the mount rail due to the transverse mounted lithium battery compartment (the lithium 123 battery is a much better battery anyway than the original model 511 battery) and gives more room for added accessories such as a 3x magnifier. Keep in mind, the EXPS2 is not night-vision capable, you have to upgrade to the next model if you're planning night raids. The windage and elevation click stops are not as crisp as I would like, but they seem to hold zero. The side-mounted controls are a real plus compared to rear-mounted, and absolutely essential if you are mounting a 3x magnifier behind the viewing window. The auto power-off feature (two choices, 4 hr and 8 hr) is great if you've ever left your Aimpoint on by mistake and totally drained your battery before. However, if you're on patrol and the reticle blinks off at a critical moment, well, be forewarned. Eotech support is unmatched, all you need to do is pick up the phone. Because this is a true holographic sight, the focal plane is the same as the target, and this may be an issue if you wear bifocal prescription glasses; you need to use the upper part of your glasses and not the lower reading-glass portion of your lenses. Rated 5 out of 5 by Raysoar from Great Fast service, great price and I love the sight. Rated 5 out of 5 by JCal210 from The BEST Holographic Weapon Sight!!! Super fast target acquisition, incredibly robust construction and a tremendous value from Sportsman's Guide... I'm definitely buying another one for my other rifle. Rated 5 out of 5 by John from Beautiful sight picture Excellent target acquisition with wide field of view. Very easy zeroing. Great red dot at a great price from the Guide! Rated 5 out of 5 by juicy327 from Best price on net Fastest acquisition and followup for up to 100 yds. Co witness ok for distance shots. Colt le6920 daylight. Rated 5 out of 5 by NATHAN from Great red dot!! Wide field of view, durable and reliable. Can't find a better red dot. Rated 5 out of 5 by JANET from Easy to use, bright image, accurate.